Today was Day #7 of Chocolate and Walnut Theme Week, and Day #1 of Chocolate and Peru Theme Week. 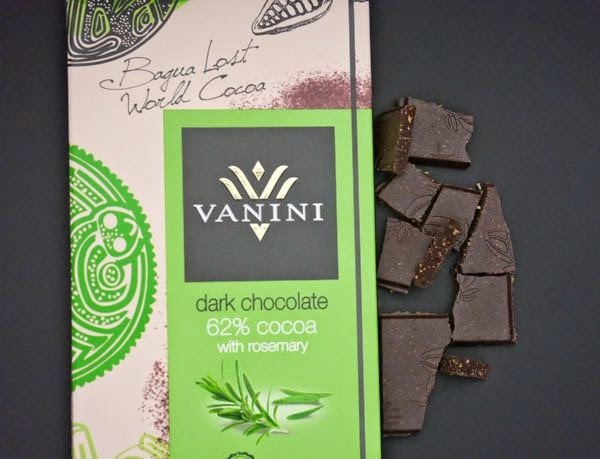 Manufactured by ICAM SpA (Orsenigo, Italy), the Vanini 62% cocoa bittersweet chocolate bar was peppered with bits of sugared rosemary, giving this chocolate a sweet, crunchy, rosemary finish and flavor. 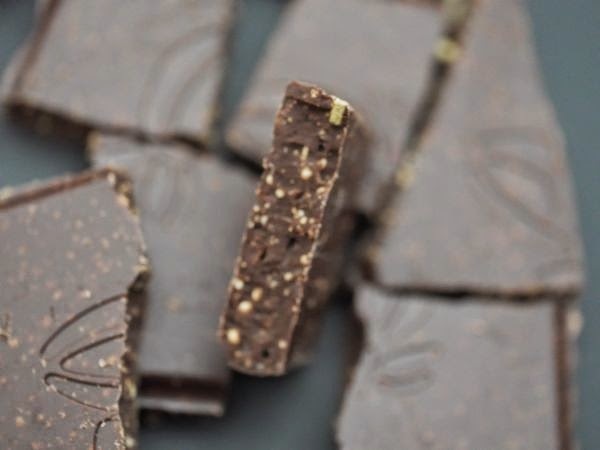 This bean-to-bar chocolate was made in Italy from Peruvian cacao beans. Specifically, it was made from "Bagua lost world cacao from Peru" -- grown thousands of years ago in Amazon rainforest by the Mayo Chincipe people (in what is now Peru and Ecuador)..."who used it to prepare beverages well before the Maya and Olmec." 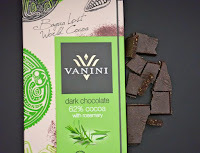 The Vanini 62 percent dark chocolate bar with rosemary was gluten-free, kosher, and made with "Sustainable Trade" cacao beans. Rosemary and chocolate can go either sweet or savory and I like surfing the line between the two. 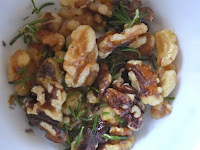 I enjoyed this bar with a side of toasted walnuts with butter, rosemary, sea salt, and a hint of garlic. I've enjoyed having a Chocolate and Walnut Theme Week. While cacao is thought of as a "New World" food (from Central and South America), walnuts have a rich, global history and were growing in what is now "New" and "Old" worlds. In other words millions of years ago, before the continents started splitting apart, many nuts including walnuts were already spread far and wide.